Available Now! Rare To The Rental Market! 1 GARAGE Parking Space Included. This Unit Is A Must See! 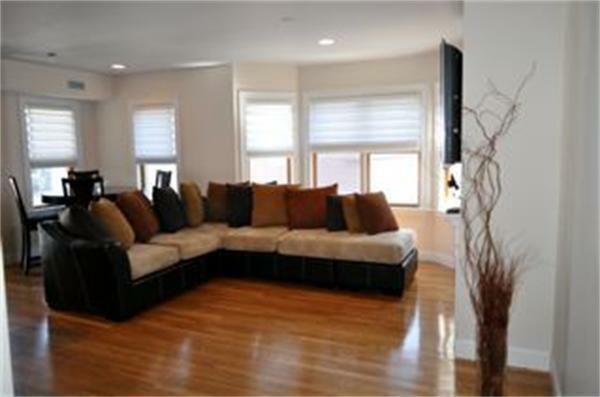 Condo Quality 2 Full Bedrooms, 2 Full Bathrooms.This Apartment Is Very Bright & Sunny! All Hardwood Flooring Throughout Living Area, Working Gas Fireplace, Stainless Steel Appliances, Open Floor Plan With A Private Outdoor Deck Off The Living Room. Common Laundry & Seperate Storage Room In Basement. Don't Miss It! Sorry No PetsJust Painted & Hardwood Floors Re-Finished. Listing courtesy of Timothy Linnane of Linnane Real Estate. Sq Ft Disclosures Estimated And Not Measured. Broker Does Not Guarantee Square Footage. Listing provided courtesy of Timothy Linnane of Linnane Real Estate.